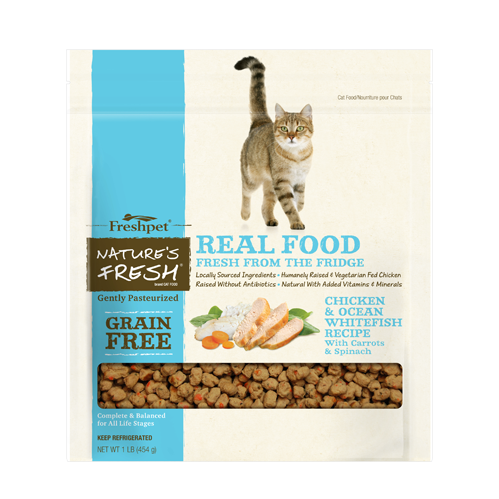 When it comes to pet food packaging, we're used to seeing a certain type of image. More often than not, it's waving fields of grain and happy cows roaming in green pastures, or sizzling plates of steak or chicken. But the pictures may not actually reflect the true ingredients. 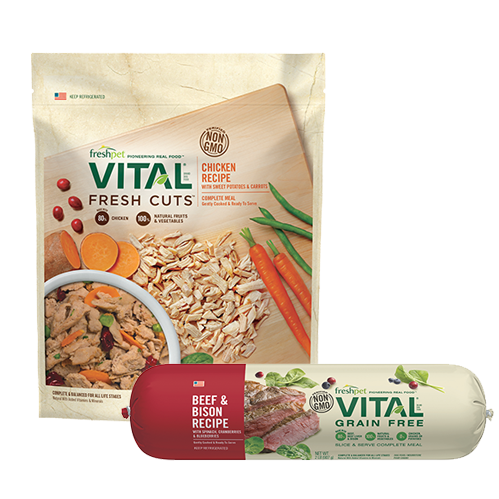 Just like humans, dogs and cats need nutritious and wholesome food to survive and thrive. 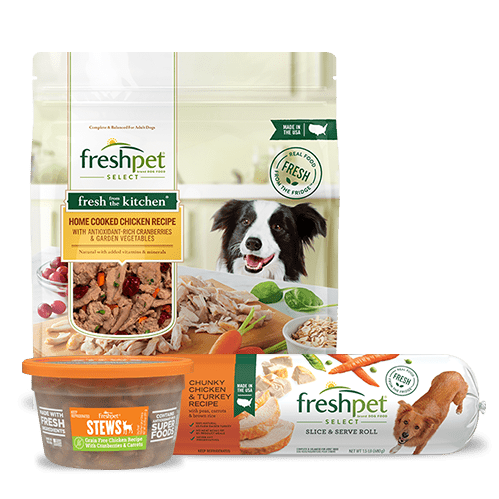 “The healthier you feed your pet, the longer and happier life they'll have,” says Dr. Katy Nelson, associate veterinarian at the Belle Haven Animal Medical Centre in Alexandria, VA. After examining Freshpet's ingredients and steam-cooking process, she also agreed to become our resident veterinarian. 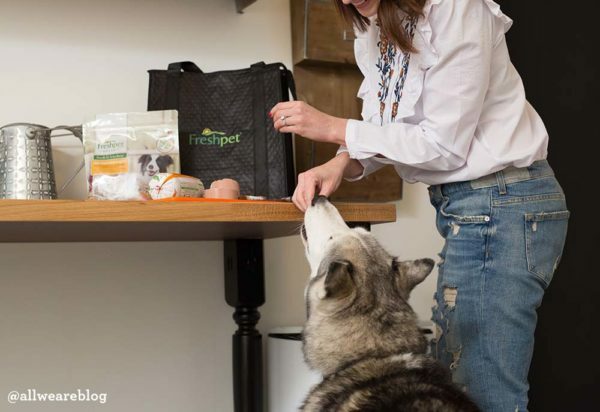 “Freshpet is what I feed my pets and recommend to all my pet parents,” Dr. Katy said. 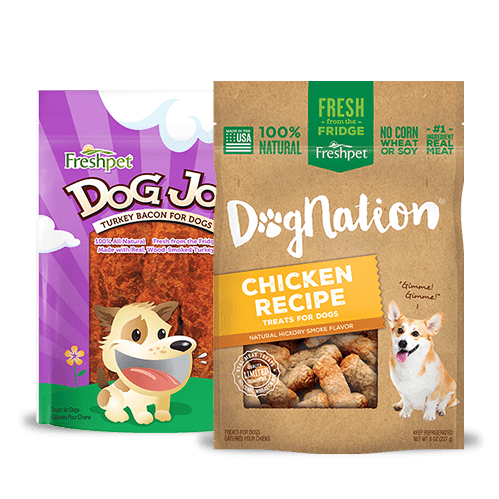 So we asked her to break down the key ingredients that go into most pet food, and help explain why Freshpet stood out to her as the best choice. Spoiler: The photos on the package don't tell the full story. Unfortunately, many pet foods on the market are made from things not clearly identified on the list of ingredients. The most common unrecognizable ingredient on the list is “meal” – but what is “meal” exactly? Meal is a mixture of the non-muscle meat portions of the animals rendered for food sources that can include internal organs, skin, hooves, feathers, and other parts. Not very appetizing. 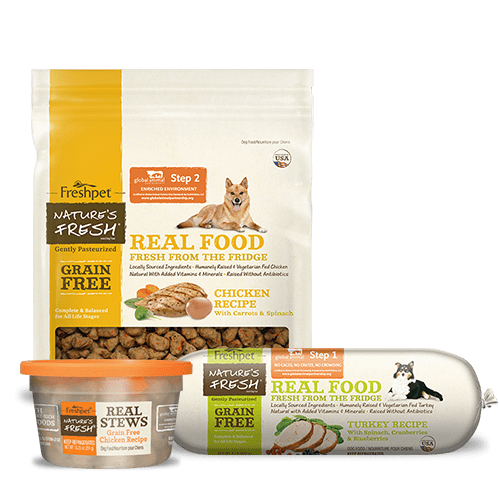 Just like the food we put on our own table, all pet food has an ingredients label included on its packaging, and just like when we choose our own food, it's important to read these labels. If you see “meat and bone meal,” chemical preservatives, and unnatural fillers on this list, it might be time to consider looking at other options. Fortunately, there are a number of companies that avoid using “meal” as an ingredient in their recipes. 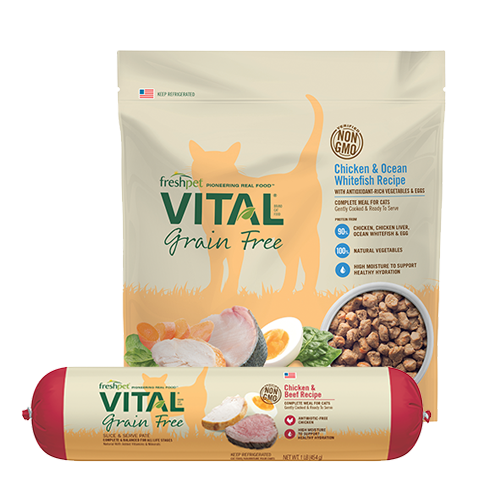 They offer a high-quality diet, which is made from real foods and grains and never include any “meat and bone meal” – including Freshpet. 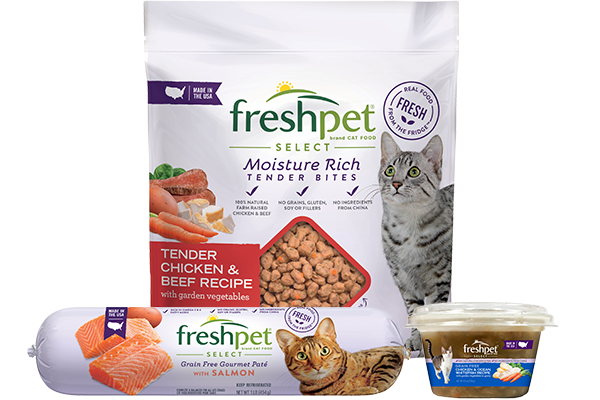 Freshpet is always made with fresh meat, veggies, and fruits and the only preservative is the refrigerator. In fact, it can be found in the pet food aisle inside a refrigerated case.